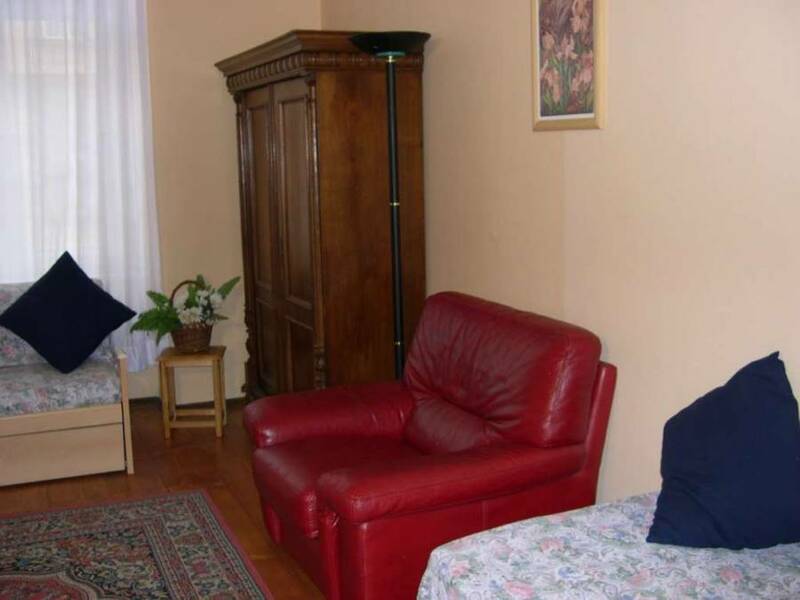 We can offer you very nice luxury apartment, furnished in clasical italian style. This appartment consists of bedroom, living room, kitchen and bathroom. This place are in immediate proximity of public transportation (underground, tram, bus), which can take you to the center of the city during a few minutes. From the Prague´s Railway Main Station (Praha Hlavní nádraí) go downstairs to the subway through the gate showing the direction to Nádraí Holeovice. Nádraí Holeovice is the last stop on this track. When you get off the metro at Nádraí Holeovice, take tram No. 5, 12 or 17 first stop Výstavitě. Bubenská street is about 300 metres back in the direction the tram came from. Turn the first street right and you will see the sign on the second yellow building on the right hand side. Our office is located there as well as apartments are.